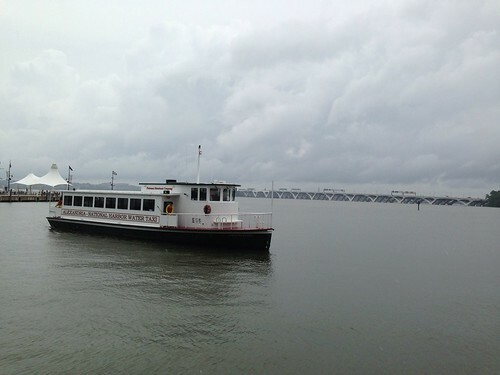 Amy dropped off a couple of paintings at Torpedo Factory in Old Town Alexandria yesterday and we made a day trip of it, checking out Founders Park and Principle Gallery, and hopping on a Water Taxi to see National Harbor. 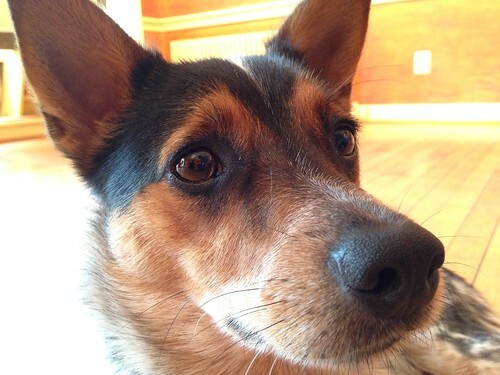 Principle Gallery has a dog named Asher, and he has his own hashtag, #AsherAtPG. 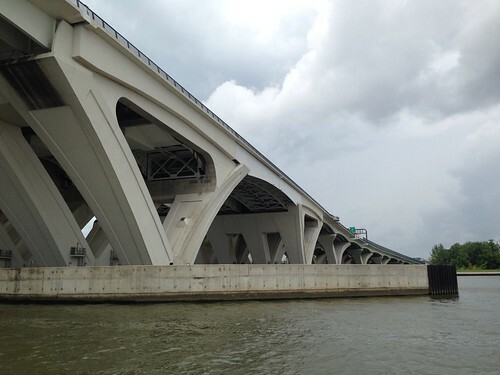 National Harbor is a mostly bland, artificial environment of chain shops and restaurants, but the pizza at Fiorelli is pretty good, and the water taxi ride across the Potomac has some interesting views of Alexandria and the Woodrow Wilson Bridge. Plus, we got to see The Awakening in its new location. 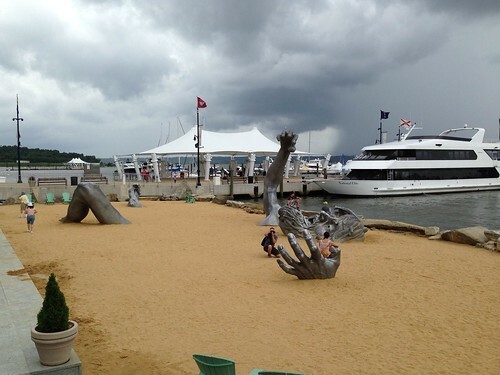 I personally wish it had stayed in Hains Point, but the sculpture seems to be doing okay here.